Hubert de Bouard owns Premier Grand Cru Classè A, Angelus, in St Emilion, he (or his daughter) produced this label as well. 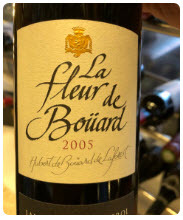 Standard can’t be too far off, I absolutely enjoyed the 09, value for money. Coming from a top vintage 05, I had my high expectations. Not too bad, although heavily oaked and fruity, I was able to tell from the nose. Palate wise, some graphite, some chunky fruits, a bit of charming elegance. I was expecting a little more, but perhaps older technology defying them. Americans please take this as a constructive feedback. Try not to overpower everything under the sun. I had a steak in NYC, the portion was so big they must’ve given me half the cow rib. I listened to American made amplifiers and speakers, all just noise and power but no finesse. 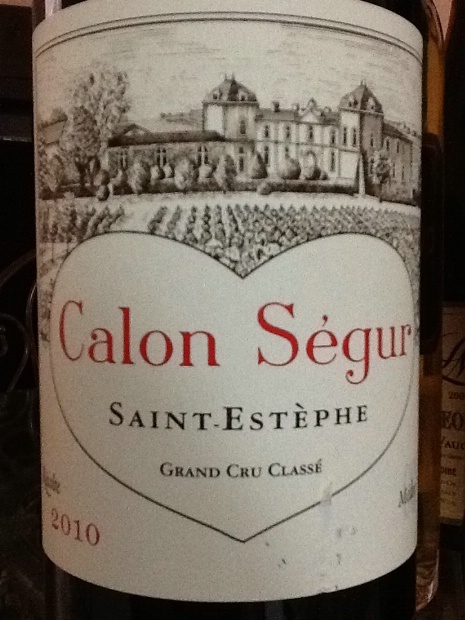 I sucked so hard on a PA made cigars tonight… Same to this wine, every sip was just big and chunky fruits, absolutely no elegance nor finesse. It’s just the culture or Americans love powerful things? Served blind to be paired with a beef oxtail stew, a sip and I fell in love with the content! Thought it probably was French, Rhône Valley in particular, but I was miles off. It didn’t taste like an Italian Barolo, more like a matured red burgundy. Extremely lush with a thick juice that paired perfectly well with the oxtail stew, the totally underrated vintage and maker took me completely by the storm! 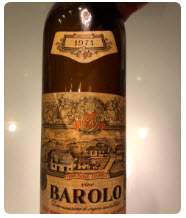 Could not believe an aged Mascarello could taste so great, a great way to end the year! Served my friend a glass and his reaction was, it’s a premier cru. He wasn’t wrong, even though I clarified this as a Grand Cru level. 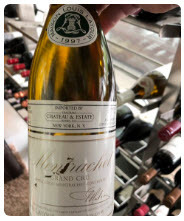 Rightfully so, as Louis Latour Monctrachet tasted like a premier cru, perhaps slightly better, but not very impressive on the palate. Nose was great, smoky, buttery thereafter. Palate was a bit short of expectation even though the Monctrachet character was obvious; fat, lush and oily, but not overly layered, a tad too simple for a Monctrachet. 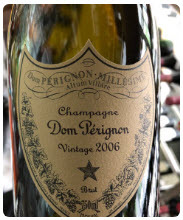 I am a big Dom Perignon fan, just last week alone I had 02 and 04, both were great vintages, until I come across this 06. Nose of fruitiness to boot, palate was definitive fruity character, now I understood why I liked 06, as I’m a fruit wine person. At later stage, nose has morphed into smoky and flinty character, without missing the sight of the fine fruits. Palate further enhance with the fruit level, even the Louis Latour Monctrachet 97 served next to it was a bit shadowed by this bubble. 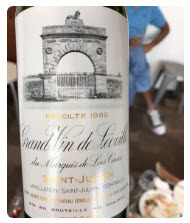 I had many times of this Leoville Las Cases 85 in the past, every time I walked out with the same opinion that Las Cases was never ready to drink, it almost always feel young, my opinion is that it’s never ready to drink, and age at a glacial speed. Very fine vanilla and oak bouquet, telling me they’re using very high quality oak barrels. Palate was elegant and finesse, certainly at it’s adolescent stage, with very fine unresolved tannins still lurking around! Guessing the grape varietals used in a champagne was fun. 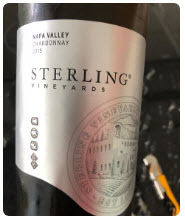 Based on my initial sip, quite dry and citrusy, thus I would guess it’s a blend, and normally it’ll be Pinot Noir or Pinot Meunier plus Chardonnay. Not a bad attempt. 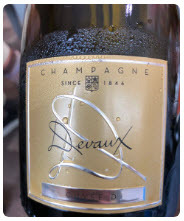 Surprisingly balance champagne of fruits and precision. The crispy bubbles was married with some orange blossom. Great texture and relatively complex depth. Worthy bubbles.